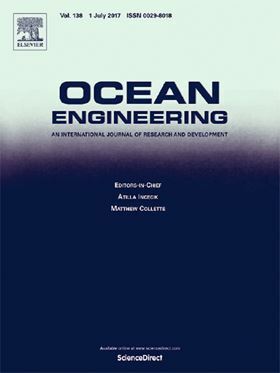 The research article 'The approach on reducing the pressure pulsation and vibration of seawater piston pump through integrating a group of accumulators' has been published in Elsevier journal Ocean Engineering (Volume 173, 1 February 2019, Pages 319-330). Seawater piston pump is a key power component for underwater equipment. Low pressure pulsation and vibration have become the key requirements of high quality seawater piston pump in the interest of improving the stability, reliability and stealth of underwater equipment. A new type crankshaft seawater piston pump was studied in this paper. The kinematics of the pistons was analyzed and a simulation model was established. The simulation results indicated that its pressure pulsation rate was as high as 17%. Fortunately, after integrating accumulators and optimizing the precharge pressures, the pressure pulsation rate can be reduced below 5% in the working range. The pump possessed better performance when the accumulators were precharged with optimized multiple pressures than with a single pressure. In addition, experimental analysis was conducted through measuring the pressure pulsation and vibration acceleration under different conditions. The experiment results of the pressure pulsation well agreed with the simulation results. Besides, the vibration acceleration of the seawater piston pump was obviously reduced in wide working range when the accumulators were precharged with the optimized combination multiple parameters. In conclusion, integrating accumulators into pump and optimizing the precharge parameters can reduce the pressure pulsation and vibration acceleration in the working range. Wear is one of the top failure mechanisms for hydraulic piston pumps.